"No cons any wait is worth the food "
A dining patron from Miami, FL tried it. An American chowhound from Jupiter, FL tried it. A dining patron from West Palm Beach, FL tried it, liked it, and rated it . They liked the food, liked the service, and liked the ambiance. An American food lover from Miami, FL tried it, liked it, and rated it . They liked the food, liked the service, and liked the ambiance. An American food lover from Miami, FL tried it. 3 reviews of C R Chicks, first by you? I wish they had more then just three locations. 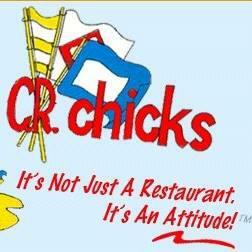 I always crave C.R.Chicks! Great chicken chariot (chicken ceaser), kiddie penne, chicken vegetable linguine, and I can't forget that banana cream pie and big cookies! A dining patron from Jupiter, FL tried Mr. Zhang's Fine Chinese Cuisine. A Cafe chowhound from Fort Lauderdale, FL tried Flamingo Cafe. A dining patron from US tried Petit Marmite. A dining patron from Palm Beach Gardens, FL tried Talay Thai . A dining patron from West Palm Beach, FL tried Hibiscus Restaurant. A dining patron from Los Angeles, CA tried Waterway Cafe. An American chowhound from Miami, FL tried C R Chicks. An Italian food lover from US tried Carmine's and liked it. A Cafe food lover from FL tried Flamingo Cafe. A Thai food lover from US tried Rice & Noodle Thai Restaurant. Do you own C R Chicks? Contact us to connect with your diners. People found this by searching for: Cr Chicks Nutritional Info, Cr Chicks Smokey Nutrition, C.R. 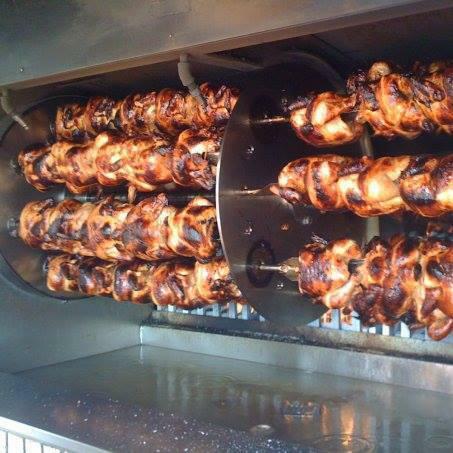 Chicks, Cr Chicks Nutritional Information, Cr Chicks Nutrition Information, Cr Chicks Menu Nutrition Facts, Does Cr Chicks Take American Express, Cr Chicks Palm Beach Gardens Fl, and C R Chicks Nutrition.